HomeBasicsWhat is quinoa in Nepali? Is it Kodo, Junelo Makai or Chinu? This is a discussion post: A discussion to know the truth. Quinoa (pronounced KEEN-wah) is an ancient whole grain – getting popular among health conscious people. The grain is high in protein, iron, and fiber. The gluten-free grain also contain a perfect balance of all the nine amio acids that are essential for human nutrition. Quinoa is a good source of Magnesium, Phosphorus, and Manganese. One cup of cooked quinoa contain 25% more fiber and 60% more protein than a comparable amount of brown rice. It also has 15% fewer carbohydrates making it a perfect rice supplement. 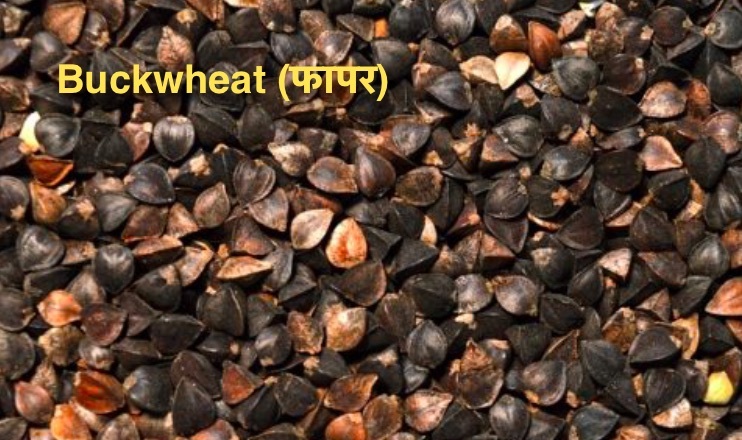 What do Nepali people call this healthy grain? 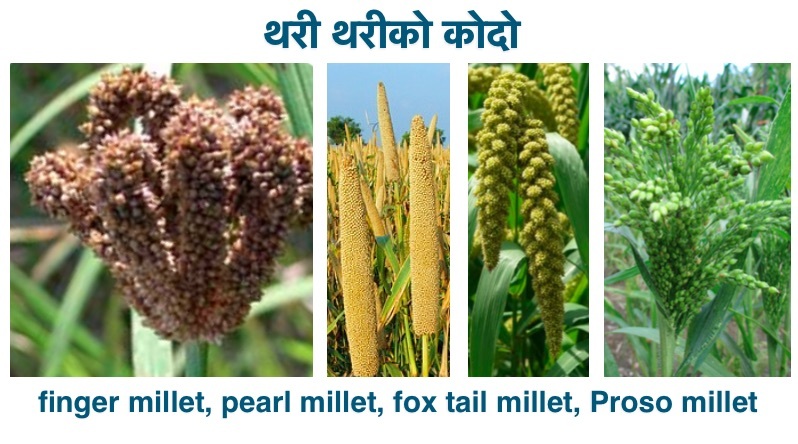 Some say it is Kodo (कोदो) – which is not true because kodo is millet in English. Others call it Junelo (जुनेलो). 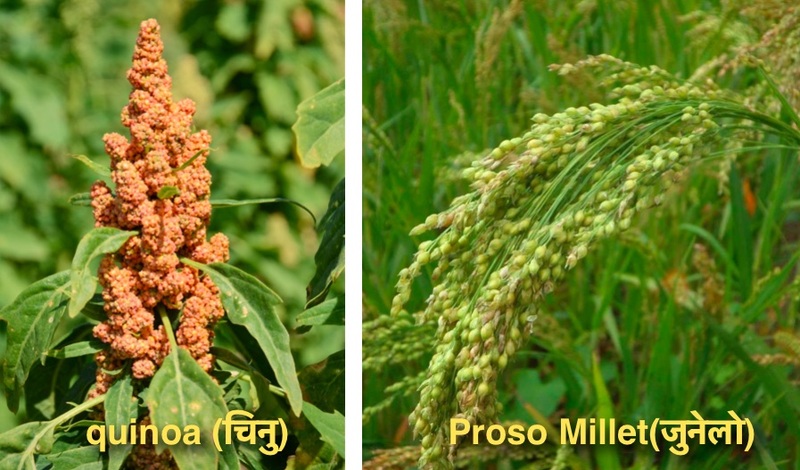 Junelo is named Proso Millet. It looks more like corn than quinoa. Quinoa’s grains look similar to that of millet. In Nepal, rice used to be considered the grain of rich people. Poor people mostly relied on millet, corn and wheat. These days, the hierarchy has changed. Foods like millets are found to be healthier than rice. 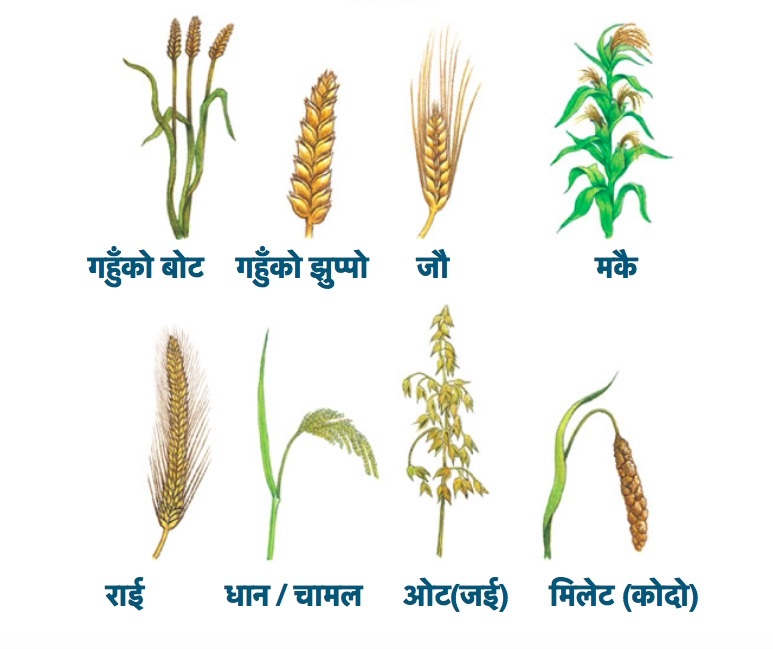 Rye – there is no Nepali name of rye. Rice is the most popular grain in Nepal. 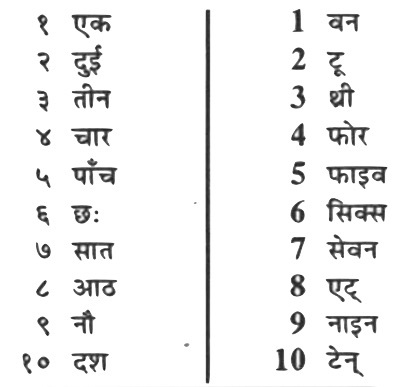 There are a lot of Nepali names associated with rice. Rice in it’s cover (rice husk) is called Dhaan in Nepali (धान). When rice is steamed or cooked it is called Bhat (भात). When rice is cooked in milk to make rice pudding it is called Khir (खीर). When sticky rice, called Anadi rice (अनदी) is boiled in water with sugar (चिनी) or boiled sugarcane juice (खुदो) – it is called Latte (लट्टे), Chamre (चाम्रे) or Chichhar (चिच्चर). Tharu community cook it covered in banana leaves and bake it in coal, it is called Bhakkun (भत्कुन). Oat and rye are primarily grown in Western world. So they are popular in their original names – oat and rye. Actually barley, wheat, rye and oat look similar are closely related to each other. Chino is Proso millet, not Junelo. Junelo is Sorghum.